Luxury Robes - No matter how many of these sumptuous styles you have in your sleepwear collection, we bet you don’t know all of these hot tips, tricks and details about luxury robes. From cashmere and silk to satin and kimono robes, these are the insider secrets and the need to know information when it comes to buying, wearing, and enjoying the best luxurious ladies robes in the world. Unleash your inner fashionista with style secrets straight from the lingerie runway. Step up your sleepwear game when you mix, match, and maximize the hottest robe looks. 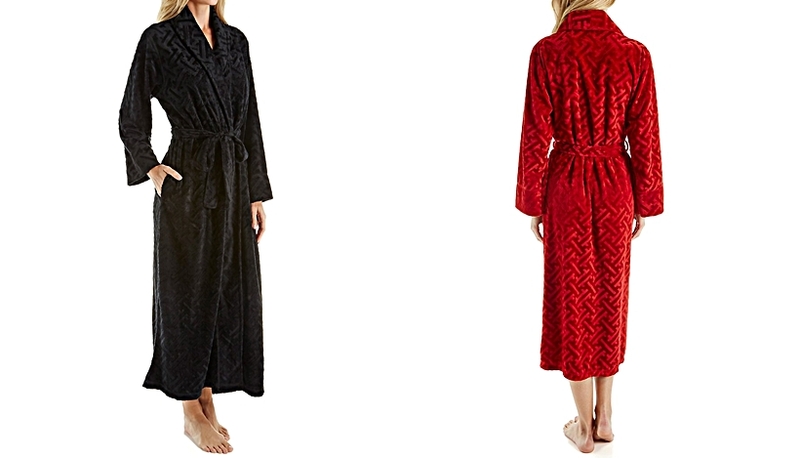 Follow our how-to on looking fierce in these luxury robe picks. Kimono	Robes - Bring	your a-game in a killer kimono robe that looks amazing, no	matter what your body type is. 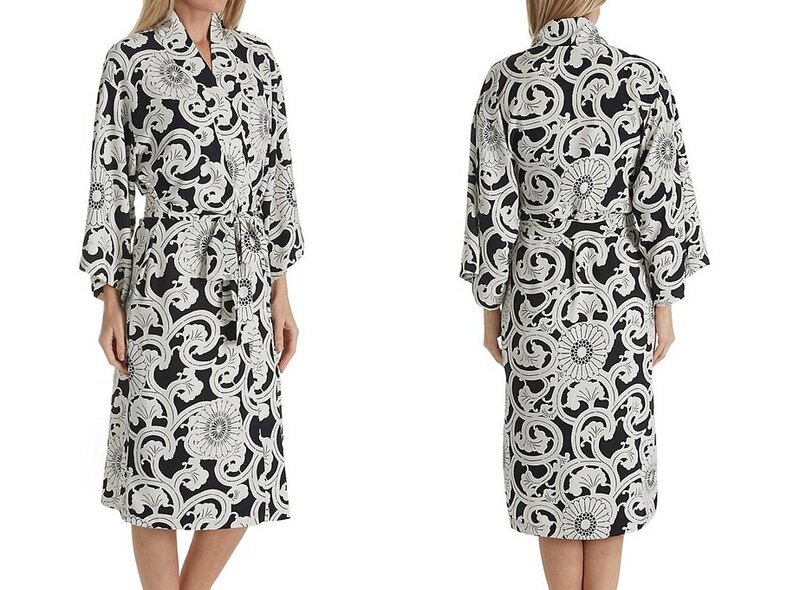 We’ve got the best tricks for	looking gorgeous in this luxurious robe that's unique and timeless. Discover Stunning Secrets. Satin Robe - The days of unflattering robes are a thing of the past with these tips that show you how to play up your strengths and show off your best shape yet. Master Insider Style Pointers. Silk Robes - From petites to plus size, we’ve got you covered on how to look and feel amazing in sensational silk sleepwear and robes. Tips On Showcasing Your Silhouette. We’re blowing the lid off the hidden secrets of luxury sleepwear and showing you everything you need to know to add beautiful sleepwear to your collection. Shop smart and buy the very best robes with this must-have info. Designer	Robes - From	America to Italy, we’ve scoured the globe to bring you these tips	on the who’s-who of designer robes. Snag a sophisticated style	from one of these sought after brands and join the ranks of women	who love to wear these luxurious robes. We Reveal Our Favorites. Spa Robe - Take the relaxation and pampering of the spa home with you when you slip into in one of these top spa robes. Every day can be an indulgence in one of these soothing styles that will make every moment feel like an escape. How To Relax And Enjoy. Cashmere Robes - When you’re ready to explore the amazing softness of a cashmere robe, shop like a pro with these simple and easy tips for cashmere that will last a lifetime. How To Choose Luxury Knits. If, you love to travel but hate to give up room in your suitcase, choose a lightweight short robe in charmeuse or light cotton. They don't need to be pressed, and look great at a moment's notice. Cashmere Robe - There’s no better way to pamper yourself than with the softness of a cashmere robe, but it comes at a steep price unless you stick to these tips and tricks on your next shopping trip. Discover Wallet-Friendly Secrets. Velour Robes - The only thing better than wrapping yourself in a posh velour robe is knowing that you got it at a killer price. You’ll adore these shopping hints that will give you all of the plush luxury of velour at a cost that anyone can afford. Amazing Tips. 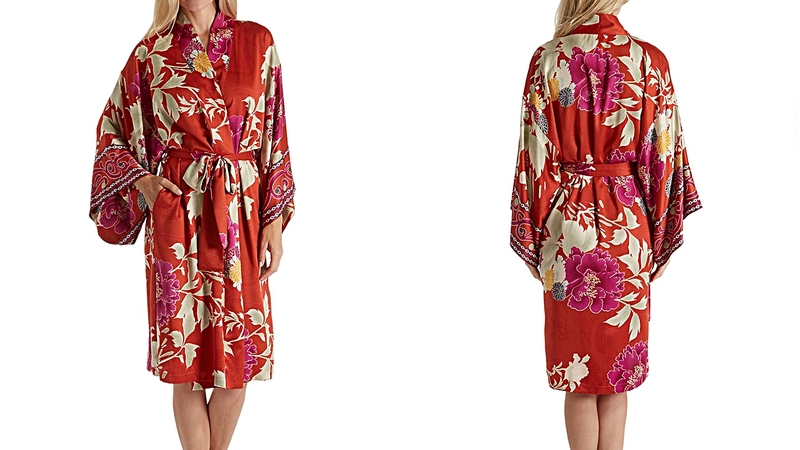 Popular luxury robes range from super warm down robes to spa worthy microfiber and silky charmeuse robes. Get an insider's look as we share our very best tips and tricks to help you enjoy this beautiful sleepwear. Down Robe - Consider yourself a down robe connoisseur as we answer all of your burning questions and give you the answers you’ve been searching for. Maximize your enjoyment and indulgence when you become an expert on down robes. Check Out The Essentials. Microfiber Robe - If there’s one thing you need to do before slipping into a micro fiber robe, it’s to read this guide for the biggest benefits of this sleepwear essential. Make sure you’re armed with this great info on one of the very best luxury robes in the world. Amazing Tips. Microfiber robes are a great choice to slip into after a long shower or bath. They're also fabulous as a cover up over swimsuits at the beach or pool, since they're soft, lightweight, and designed to draw moisture away from the skin. Charmeuse Robe - Guess what? Charmeuse robes are ultra easy to wear, no matter your size, shape, or personal style. We show you how these simple tricks work like a charm. Read On For The 411.